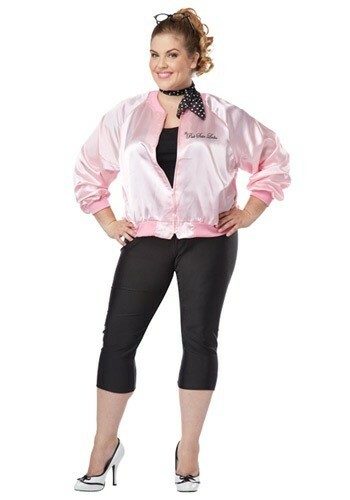 Give those greasers something to talk about when you show up in this Plus Size Pink Satin Ladies Jacket. Now you can rule the school! This Plus Size Pink Satin Ladies Jacket will make you look like an elite member of the 1950's in-crowd!